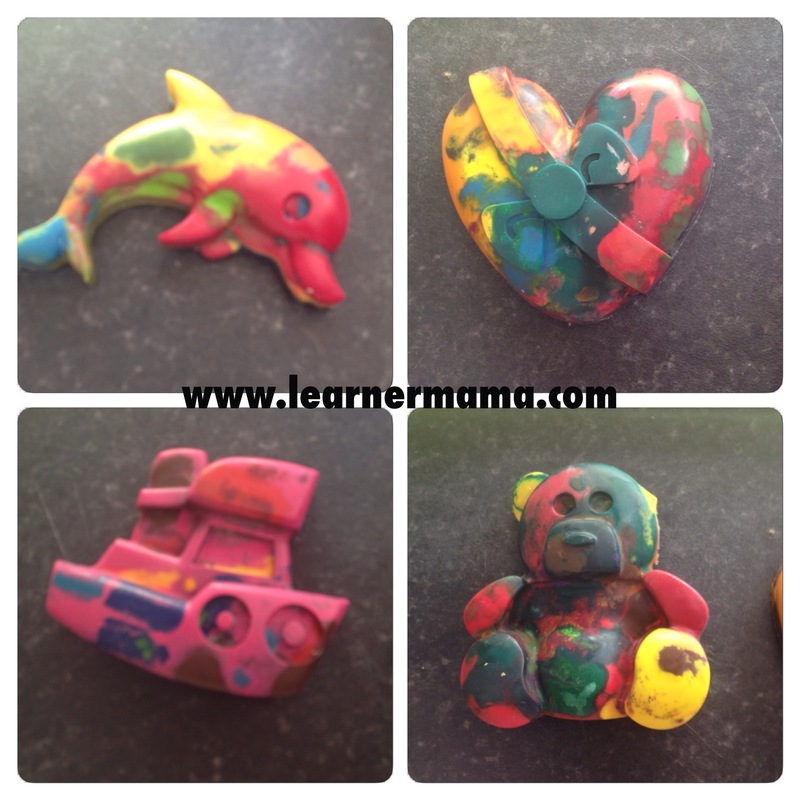 In case you missed it, the lovely and talented blogger Sadhbh at Where Wishes Come From shared her creepy crayons craft late last year. 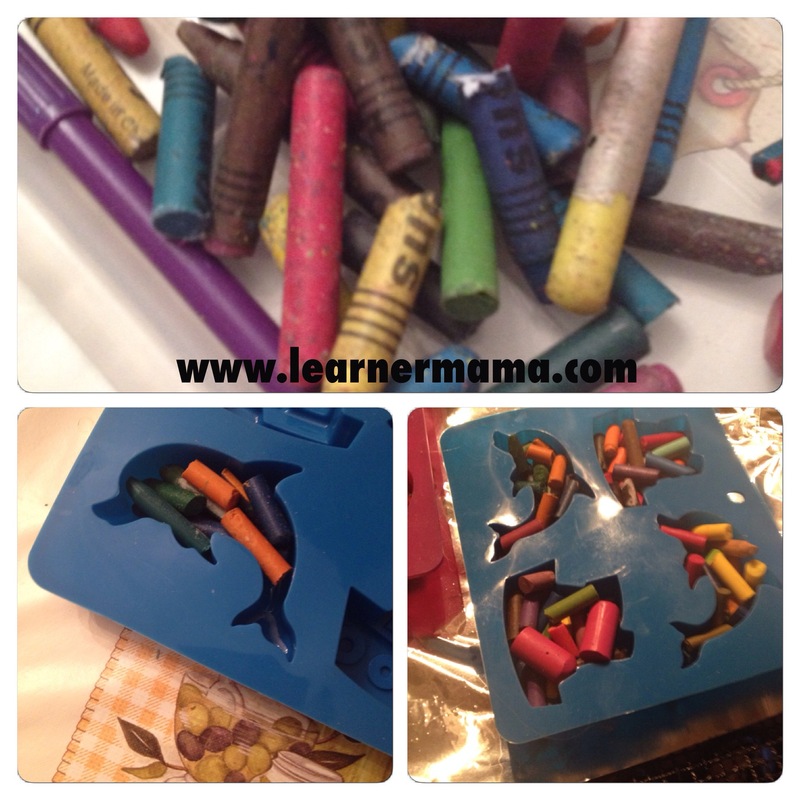 A fabulous craft for using up those old pieces of crayon that get left lying around the colours box. We certainly had plenty of them. The only other thing I needed was a silicone baking tray. At the time (and maybe given it was near Halloween) I couldn’t find any “creepy” ones so some regular shapes, in the form of a teddy bear, a dolphin, a boat and a heart, had to do. I followed Sadhbh’s instructions to the letter. I peeled off the paper from the old crayons (probably the most annoying bit!) and filled up my baking trays. 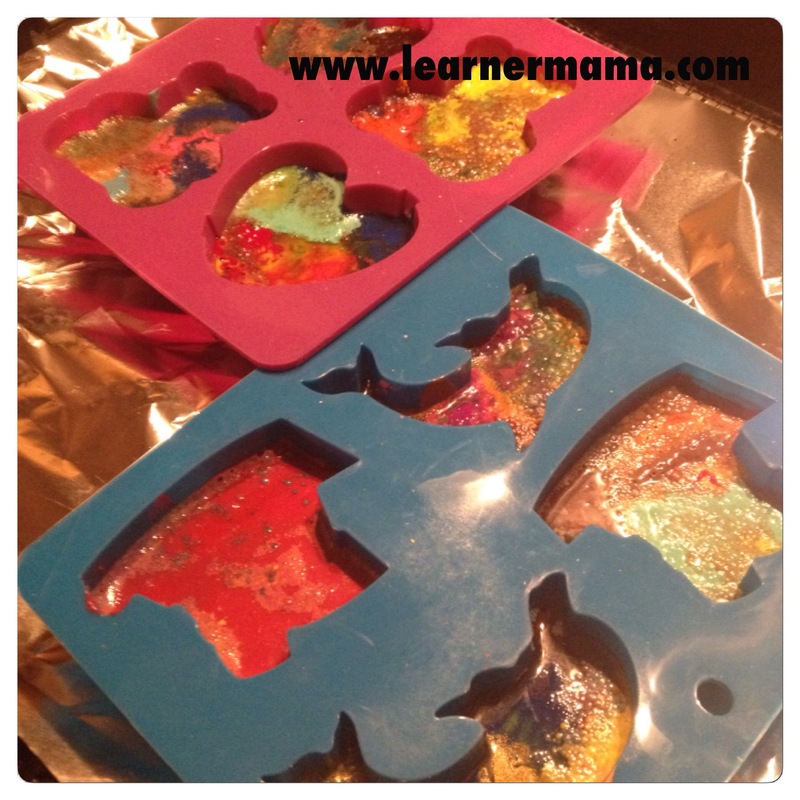 Once totally melted in the oven I removed them and let them go hard. I have to say I was delighted with the results. As were the kids. My only issue was, probably due to the shape of the mould, my teddy bears ears fell off very easily. Overall though what a super idea for using up all those bits of crayons lying around. Ordinarily I would have just thrown them in the bin, but it is great to get further use out of them. Thanks to Sadhbh for sharing hers and inspiring me to give it a try. Previous articleHas the Shopkins bug hit your house? It has mine. We are so doing these the weekend there deadly looking. Do give it a go Kellie. It is a great craft. So delighted to have seen it on Sadhbh’s blog for Halloween. Nicely done. Those are really cute crafts.